What is Marijuana and what are the Effects of THC? Marijuana - THC cannabinoids is a hallucinogenic agent derived from the flowering portion of the hemp plant. The active ingredients in Cannabinoids, THC & Cannabinol can be metabolized and excreted in urine as 11-nor- Δ9- tetrahydrocannabinol - 9 carboxylic acid with a half-life of 24 hours. 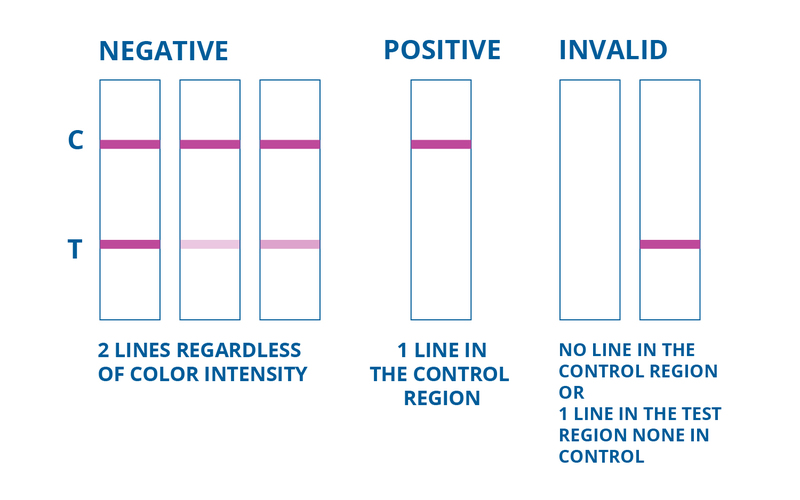 It can be detected for 1 to 5 days after use. Smoking is the primary method of use of Cannabinoids / cannabis. Higher doses used by abusers produce central nervous system effects, altered mood and sensory perceptions, loss of coordination, impaired short-term memory, anxiety, paranoia, depression, confusion, hallucinations and increased heart rate. A tolerance to the cardiac and psychotropic effects can occur, and withdrawal syndrome produces restlessness, insomnia, anorexia and nausea. 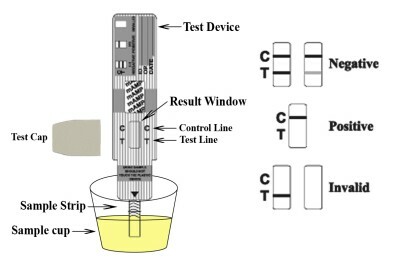 Remove the bottom cap from the marijuana drug test card and submerge the drug test strips in the urine. AVOID passing the arrow when submerging the single drug test card since this can flood the test and invalidate the THC drug test. Our marijuana THC drug test is a FDA 510K, CLIA Waived OTC product that has passed all requirements from the Food and Drug Administration.